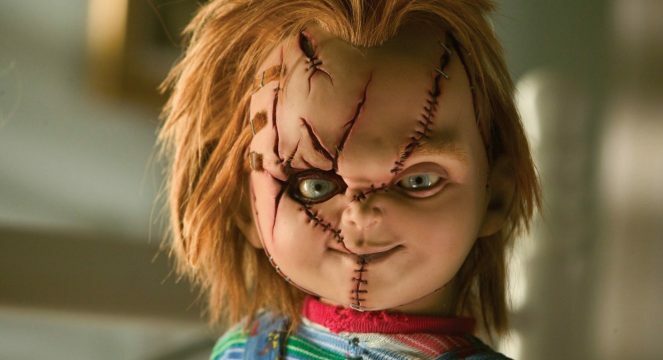 The Cult of Chucky begins its reign of terror in the horrifying first teaser trailer for Don Mancini’s direct-to-video slasher. Angled as the seventh installment in the famous Child’s Play franchise (and the goriest, if Mancini is to be believed), Cult of Chucky is a direct continuation of the 2013 cult hit Curse of Chucky, when horror fans were introduced to Fiona Dourif’s character, Nica Pierce. Four years on from her first dalliance with the demonic doll and Pierce now finds herself locked up in a mental institution, wherein she’s forced to undergo therapy that includes cradling an eerily life-like Good Guy doll to help fend off PTSD. It’s the stuff of nightmares, really, and if anything, Dourif’s haunted lead is only reminded of Chucky’s looming presence. Directing from his own script, Don Mancini’s horror flick also pays homage to the underlying legacy in the sense that Jennifer Tilly, who is all but considered to be a constant of the franchise, is set to appear in Cult of Chucky as Tiffany, Chucky’s wife. Nica Pierce has spent four years in a mental institution after members of her family were murdered, a crime she did not commit. Her psychiatrist gives her a Good Guy doll as a therapeutic tool. Soon afterward, a new string of murders take place around the asylum, making Nica suspect that Chucky, the possessed doll behind the crimes she was accused of and whom she has concluded is a figment of her imagination, is behind her predicament. Meanwhile, Andy, Chucky’s old nemesis and original child victim, comes to Nica’s aid, while dealing with Tiffany, Chucky’s former wife. On October 3rd, Cult of Chucky will become available on Blu-ray, DVD, and Digital. And if today’s all-new teaser wasn’t enough nightmare fuel for you, the official box art ought to leave you cowering behind the couch.